YouTube is known as one of the major vertical search networks available today. Vertical Search means searching for a specific topic or category or industry. People come to YouTube to check for videos in a certain segment or vertical. While it’s not essential that you need to be present on all mediums, however, if you can make creative videos around your topic, then you shouldn’t miss it. 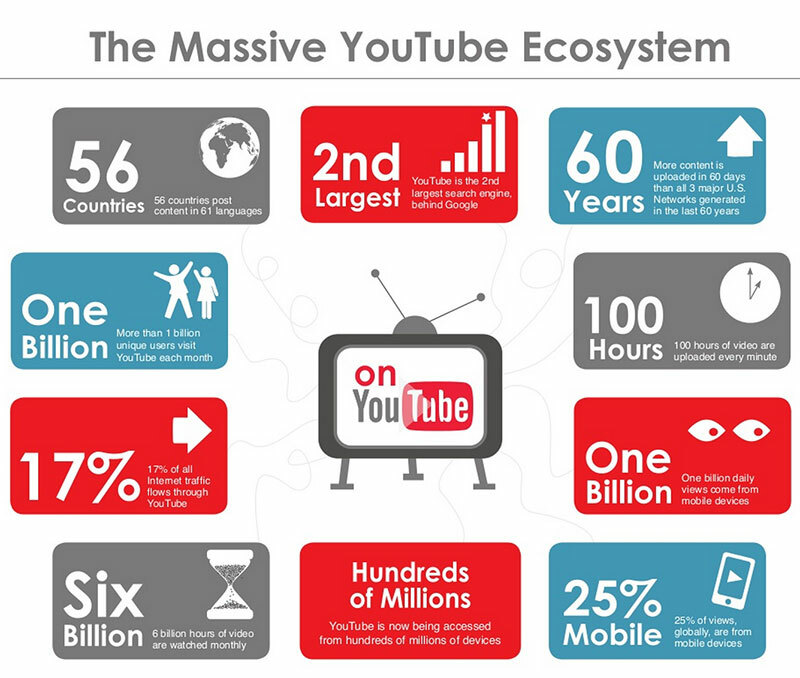 Here are a few facts from SEMRush which will showcase the massive ecosystem of YouTube. You might think this is really simple one, but this is where the gold mine is. Before you create a video, identify the keywords that are being used in your niche. Use that as your base to create videos and then use those keywords in tags. Once your video is created, make sure you have a catchy and keyword rich headline, description, tags, and sub-titles. YouTube is owned by Google, so Google is interested in indexing and pushing its video content and if you observe even in normal search, a video ranks higher for a search term than text, so make the most of it. Put special emphasis on crafting a well-worded and keyword relevant description. Use keyword planner to identify good keywords. Add an eye-catching thumbnail. Either design one on your own or get someone to design it for you. An eye-catching thumbnail is one of the major deciding factors for a viewer to click. Brand your channel with a good cover and relevant themes. Add an end-slide to your videos and ask viewers to subscribe to your channel or follow your social channels at the end of the video. Gone are the days when a simple home-made video became an overnight sensation. Though it is true in some exceptional cases even today, however with the sheer amount of videos being uploaded every day, it is tough for a humble home video to list in trending sections. YouTube has come a long way and so has the quality of videos that are being uploaded on the channel. Use good equipment’s like a better quality mobile, stand, tripod, mike etc. to give a professional touch to your videos and audio. Invest in a good mic and if you are recording yourself, then instead of just a casual ‘call from home’ look opt for a plain screen. First impressions are very important on YouTube. Go Live, if it’s relevant, but ensure that some brand element is present in such videos too. Though YouTube is a kind of search engine, the way it behaves and the way the user behaves with the tool is very different from a normal search engine. An important thing that separates user behavior on YouTube and other search engines is the suggested videos section. Once you start playing a video, a list of suggested videos pop-up on the right-hand side. The user usually scrolls through that to decide which video to watch next. View videos in your niche or topic, identify the keywords that are there in those videos. Create videos that are adding value to existing high ranking videos. Focus on being in the suggested list of YouTube videos. Have you used YouTube for promoting your brand or do you have some questions about it? Shoot an email or ask about it in comments below. Will definitely try and help. These are some incredible tip. Will be very helpful. Thanks for sharing the basics to set up one’s channel, will surely use them to build my channel! I’ve just step up my channel and I can certainly make use of these pointers. I can’t imagine being on YouTube, I’m really camera shy. But love these tips, and will pass them on to people who ask me for reccos on getting started. Thanks a lot for these tips. I have been thinking of creating some of my content as YT videos and embedding them on my blog. It certainly breaks the monotony of text-only posts. Good tips. These are helpful to me. Have been planning to launch my youtube. Very informative post.. Loved reading it.. These are some amazing tips for a good Youtube brand positioning. Very practical and helpful pointers. Wow I’m new in YouTube so very helpful post for me . Thanks for sharing. Cool tips here for newbies. YouTube is a great way to reach your thoughts to millions of people. What an informative post.. This was much needed.. sharing it and saving too. Thanks! 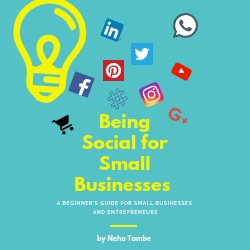 These are some awesome tips for starters, would like to connect with you as I am thinking of starting my youtube channel soon. Thanks for sharing these great tips. These are some super relevant tips. I always found Youtube very complicated. This is surely going to help me to understand it better. I was just wondering how to get my YouTube channel up n running and this came in. Super tips and very informative! Thats really good compilation of points. I am yet to explore you tube but when I decide I think all this points are going to be very handy. I agree with Summet as he said that, its a great blog for those people who are thinking to start their own you tube channel. And that is what I am going to do in few days. I have to start my own youtube channel for business and do my business branding their through videos. You explained very clearly by using infographics. I don’t have a youtube channel yet, but this, is highly useful! Bookmarking it for future use.